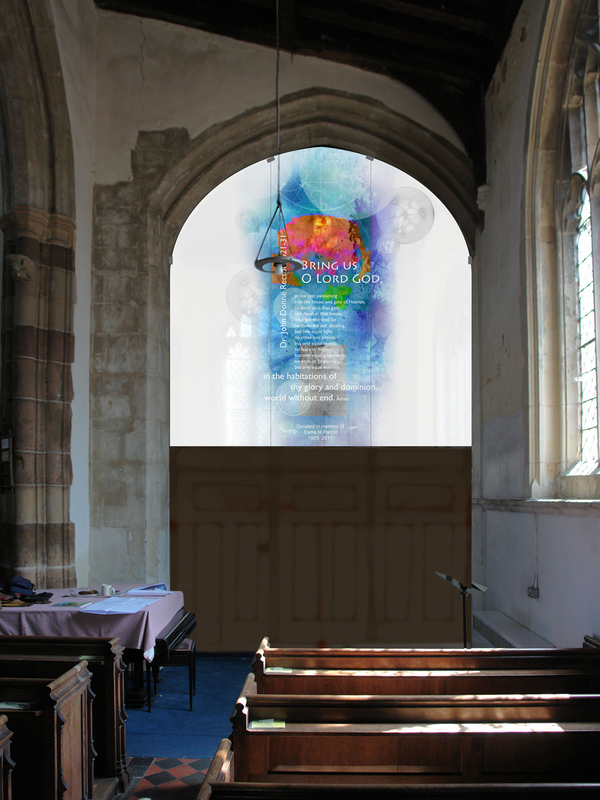 Artist’s impression of glass artwork to be mounted above a new oak framed screen, converting the Lady Chapel into a vestry and meeting room area. 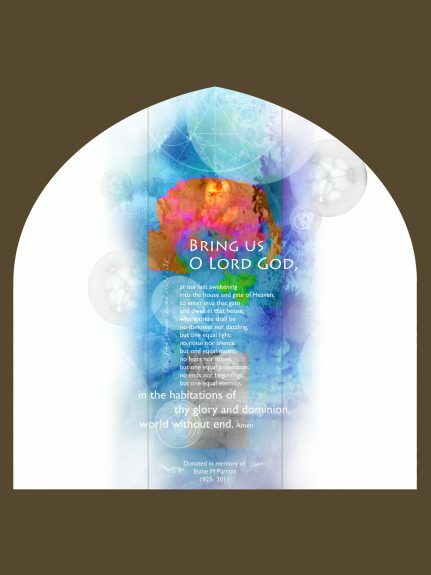 The design is a commemoration of the English poet and Dean of St. Paul’s Cathedral Dr. John Donne, who was rector of the church between 1621-1631, and is also a memorial to the donor of the window, Mrs. Esme Parrott. The design is inspired by the metaphysical poetry of Donne, reflecting his intellectual and emotionally complex view of the world. One of his prayers is included in the design. The life of the donor Mrs. Esme Parrott is also celebrated, with visual references to her interest in music, education and gardening. The glass work is to be created with ceramic pigments enamelled to toughened glass, with etched texts and musical notation. 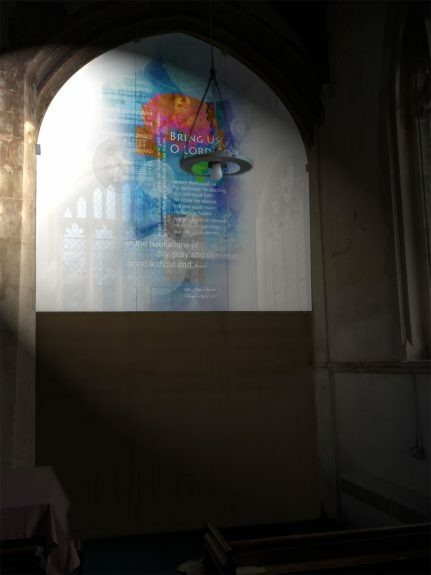 The interplay of text with colour, reflection and transparency helps to create a sensitive and up lifting contemporary artwork, designed to be welcoming and accessible. 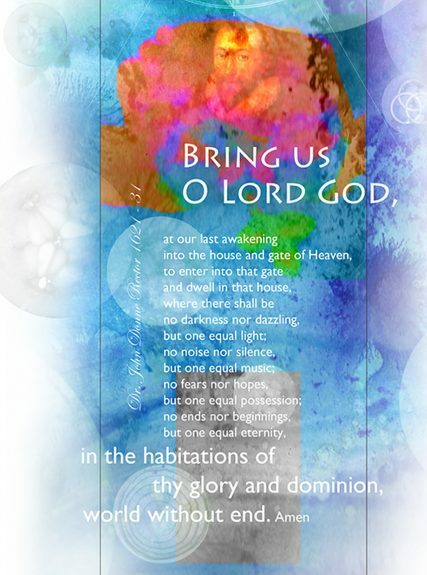 This entry was posted in design.